As an employer, you carry considerable liability when it comes to your employees. 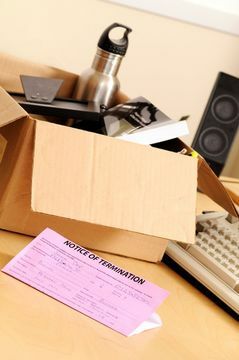 If you wish to fire an employee you suspect may file a lawsuit against you, need to make changes in benefits or workplace policy, or need to decide how to classify a position (exempt or nonexempt, contractor or employee, etc. ), you need expert legal counsel to protect your best interests. Employment law is complex, and it changes frequently. An employer defense attorney with Owens Moss in Jackson, MS, can help you avoid costly legal repercussions by making prudent decisions regarding issues relating to your employees. Not every decision you make as an employer requires legal counsel, but there are some delicate matters that can leave you legally vulnerable if they are not handled with an intimate knowledge of employment law. To schedule a consultation, please contact our firm today. Has filed a lawsuit alleging misconduct on your part. Disputes your claim of misconduct or poor performance, even following an investigation. Believes your right to fire is limited by an implied contract. Has access to your trade secrets. Has had excessive absences, but you are unsure if they are covered by the Family and Medical Leave Act or Americans with Disabilities Act. Could, in your estimation, retaliate with violence or sabotage. Would dramatically change the demographics of your workplace by no longer being a part of your staff. Perhaps most importantly, if an employee has hired a lawyer to represent him or her, having an experienced employer defense attorney in your corner is essential. The positions within your workplace must carry certain classifications relating to issues of compensation and other aspects of employment. For example, employees can be considered either exempt or nonexempt. Generally speaking, exempt employees earn a salary and are not entitled to overtime pay, while nonexempt workers must be paid at least minimum wage and can earn overtime. You also have a right to classify certain workers as being either employees or independent contractors. Misclassification can result in expensive legal consequences, making proven legal counsel an invaluable asset when defining positions in your workplace. Not every decision you make as an employer requires legal counsel, but there are some delicate matters that can leave you legally vulnerable if they are not handled with an intimate knowledge of employment law. It is always advisable to have an attorney review your employee handbook. Policies pertaining to family leave, final paychecks, and overtime pay can result in a lawsuit if they are not carefully tailored in accordance with employment law. Meanwhile, it is important that the language used to outline these policies does not create unintended obligations on your part. You should also protect yourself by having an attorney review any contracts relating to severance pay, releases, and other issues. With an experienced employer defense attorney from Owens Moss, you can protect the livelihood of your company and minimize your risk of legal backlash. Contact our offices today to schedule a consultation.